"1255 N Sandburg offers easy access to the red line subway and Jewel-Osco grocery store at Clark / Division (just a block away). Eliot House is a financially sound and investor friendly building." 1255 N Sandburg Terrace - Eliot House - is part of the Sandburg Village community of buildings in the Gold Coast. The 28-story building contains 324 condos. 1255 N Sandburg offers a very convenient location in the Gold Coast with the subway, grocery store and several bus lines located within just a 1 block radius. The building is also very close to the popular nightlife destination of Rush and Division streets. Many condos in 1255 N Sandburg have been renovated over the years, so buyers will have a wide variety of floorplans and finishes to choose from. The building does allow pets, but has specific size and count restrictions. Leased parking is also available in the attached garage. 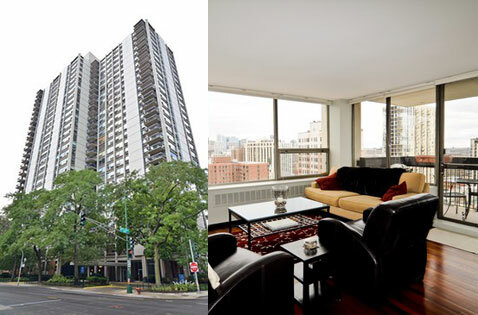 1255 N Sandburg is financially sound with a healthy level of reserves in the millions of dollars. The building is allows rentals.